How Far is Shiv Shankar Krishna Homes? Krishna Homes, a sparkling celestial star on the firmament of contemporary living, is a stylish new residential development. It has sophisticated architectural designs and refreshing scenic beauty with an enviable package of ultra-modern, high-tech comforts and superior features designed to cater luxurious and comfortable life. Krishna Homes is designed elegantly and thoughtfully keeping in mind the modern day dweller. It provides modern amenities and so many special features which will truly make life healthy and full of comfort and luxury at an affordable price. Quality constructions, state-of-the-art facilities, affluent neighborhood, excellent facilities and personalized services spell out the quality of life that Krishna Homes provides. Shiv Shankar buildcon Pvt. Ltd. founded in 2005, has set new trends and benchmarks of architectural excellence in the contemporary global scenario. An ISO 9001:2000 certified company, Shiv Shankar buildcon Pvt. Ltd. has successfully completed `10 years in real estate business and today it has revolutionized the real estate arena. Under the dynamic and pragmatic leadership of Mr. Ajay Kumar; Chairman & CMD and experienced Board Members, Shiv Shankar buildcon Pvt. Ltd. Group is scaling new heights and touched the horizon of excellence. Their vision and entrepreneurial acumen and have taken the group to the greater heights. All this dedication and commitment has enabled us to receive the coveted “Award”, 2002 for unparalleled contribution to this area. The greatest contributory factor to this landmark achievement is the vision of Mr. Ajay Kumar whose entrepreneurial skills and business acumen have steered the group diligently on a growth path. Mr. Ajay Kumar has been bestowed with “Excellence Award” for the year 2002 for his outstanding contributions to Real Estate Industry. Shiv Shankar buildcon Pvt. Ltd. Group has already converted more than 20 million sq. ft. area of residential and commercial entity into architectural landmarks and more than 14 projects that accommodates nearly 8000 families. Its various projects viz. Residential & Commercial Townships, have either completed or about to complete. We are inspired by our clients to endeavor the dreams turning into reality. Our commitment to deliver quality with aesthetic design surges ahead with the enterprising vision of creating value through excellence. Our world class architecture shows true modern lifestyle. This Real Estate Company has been catering to the needs of the people for several years from now and established in the year 2005, and it has been a mark of excellence since last 10 years now. 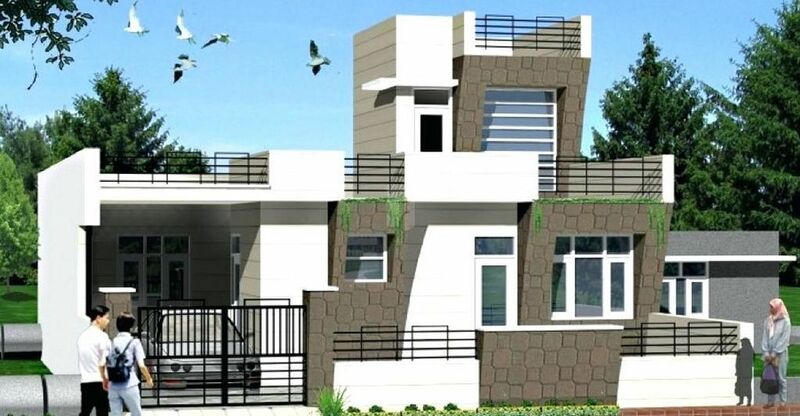 The firm has created new standard and benchmark to be achieved in the field of architecture and infrastructure and the firm is known to have brought about a revolutionary change in the field of real estate and it is the most well known firm in the town. Mr. Ajay Kumar, the experienced Chairman & CM, is a visionary and he has immensely experienced skills and high experience to the people and it gets represented through the level and standard of the work. He is known for the best residential projects like the Emerald in Noida Extension, Krishna Enclave Plots in Noida Extension. Not only this, the firm is also known for the best and the most amazing services that the firm renders and it is the most reliable firm. This ISO 9001:2000 certified company is sure to offer the most amazing and remarkable services and the best in the town for your services. It is known for the top class Low Rise Apartments in Noida Extension. The firm has performed some remarkable and simply amazing projects, that states its standard of working and its level of perfection. The firm is known to offer the best services and remarkable residential options for the Railway Staff Welfare in Noida Extension. We will be easily available to provide effective and efficient service at every customer contact and will treat our customers with a caring attitude, respond with a sense of urgency, also will promote from within and provide training at all levels so that our employees can reach their full potential. Always convey a professional attitude and Appearance At All Times. We are committed to coming together as a diverse workforce to achieve our mission. We recognize that our employees are our most valuable asset and will reward meaningful contributions to our success. And will provide our services in the most economical and efficient way without compromising quality. We will act rather than react. Creating landmarks and setting benchmarks, where our projects do exist are transformed into a prime landmark, the surrounding locations obviously turn into a high-flying haven. To create an infrastructure Which is Trendsetter for other Follows. Change is the law of nature - taking this as an inspirational value, Shiv Shankar Buildcon is transforming lands into beautiful landmarks. The corporate philosophy of the Company has brought a remarkable change in the real estate sector is to give maximum happiness to its customers at minimum costs. Maximizing this concept, the Group is reaching out towards new horizons of growth & success. Shiv Home 1at noida Ext. (Greater Noida West) will never leave you short of fun things to do and enjoy. When abundance of greenery inspires you to live fresh, it's natural that you will be calm and happy. Where life will flow with tranquility Commitment unlocks the doors of imagination. the group has been working towards bringing India, state-of-the-art corporate buildings and services designed to meet and exceed global benchmarks. Satisfied customer is the real asset of the company. We are building homes based on trust, and you are invited to build your future with us.